Whether provisioning or troubleshooting T1 service, often the first step is to verify proper circuit operation throughout the network by testing the physical layer. 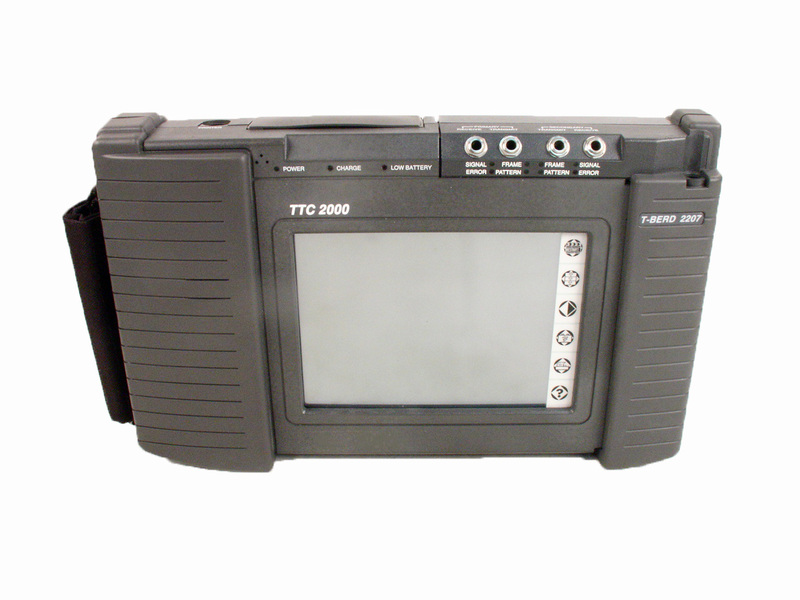 Typical requirements include BER testing, signal, alarm, and timing tests to ensure proper performance of T1 network connections. BER testing is typically conducted from the customer premises at an NIU or HTU-R. To identify and sectionalize circuit problems from network equipment faults, the 2207 provides the capability to monitor and perform BER testing in both directions of a circuit simultaneously. The use of standard or user-programmable loopcodes to loop-back network equipment allows for further sectionalization of network troubles. In addition to commonly used BER testing patterns such as QRSS, the 2207 also offers several industry-recommended advanced stress patterns, including 55 Octet and T1 Daly to ensure network performance. Advanced timing analysis allows the technician to pinpoint signal delays, timing slips, and mismatches between switch and remote equipment.